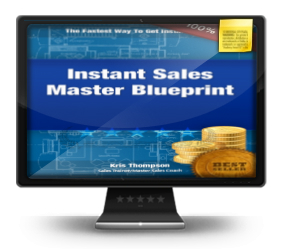 It’s very difficult to increase sales in your business without using your time well. I’m going to share with you several things most of you are doing that rob you of your time. These will prevent you from increasing sales in your business. 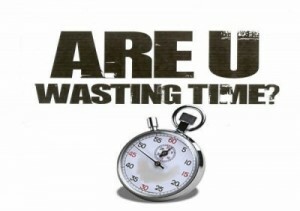 Take a moment with me and identify which of these time wasters are costing you time and an increase in your sales. Losing you keys and having to waste time looking for them. You’re running late for an appointment because you can’t find your keys. Being late for a sales presentation alone can cost you a sale. How can you prevent losing your keys? Designate a spot where you leave your keys every time you walk in your door and never leave them anywhere else. You can keep a spare set of keys in a safe place. You can get a key finder as well. Mindlessly surfing the internet/social media will cost you time. You absolutely must have a social media and online strategy to increase sales. You may still find yourself distracted by posts or celebrity gossip and YouTube videos of kittens. Schedule in your day the specific amount of time you will invest in social media and checking email. 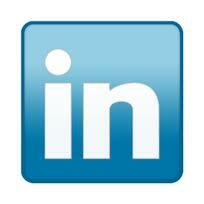 I like to use sites like ping.fm and hootsuite to post content on social media. It looks like I am online a lot but I’m only on social media and email for about an hour a day. Also text messaging can waste a lot of time. Many times it would be more productive to just have a phone conversation. Getting and drinking coffee can rob you of productive sales time. You may find that you invest an hour or more a day getting coffee at Starbucks for example. You may be able to get coffee at the office for free or for much less money and time. That time would be better invested on strategies to increase sales in your business. You may waste time by not having a plan for your day. Most of you don’t plan your business day before the day starts. Your plan for the day is whatever messages are on your cell phone and your priorities are whoever is yelling the loudest. Having a plan for your day is more than just having a “to-do” list. It’s about being clear on your outcome for each day and creating that outcome. You can waste a lot of time by always saying “yes” to people’s requests of you. You may not want to hurt their feelings. It’s best to say “no” or you will have everyone else running your life. You will also take on more things than you can handle and you will upset a lot of people because you will either not follow through or you will do an average job. Start to say “no” so you can use your time to increase sales in your business and create a quality life for you and your family. Socializing and interruptions also waste a lot of productive time you could use to increase sales. You are most productive when you block your time. Block out the time in your schedule for your most important tasks and focus on them until complete. Lock the door to your office or put a “do not disturb” sign on your chair if you have to. Also, an “emergency” is when the building is on fire or someone has to go to the emergency room. It is not an emergency for someone to ask you where a file is. Those requests can wait an hour or two until you are done with your important activity. The biggest time waster for most of you is watching television. I read recently that the average person watches 35 hours of television each week! You hear people all the time talk about how they don’t have enough time for things. Over your lifetime at that pace you will spend years of your life watching television. I’m not saying you can never watch television. I’m saying you must be smart about it. Don’t flip through the channels or watch programs that you don’t really enjoy! (Sorry Kardashians) Now we have DVR’s and we have the ability to watch what programs we want and we can choose when we want to watch them. Take advantage of this to get the most enjoyment out of your favorite shows. Here’s a bonus common time waster. NOT taking enough vacation or days off is another waste of your time. It’s easy to trick yourself into thinking that if you take less time off you will be more productive. It’s not true. Working 7 days a week or never taking vacation time will kill your productivity and make it almost impossible to increase sales. You will be exhausted and only have the energy to give an average effort at best in your business. We all need to refresh ourselves. When you are refreshed you will be more focused, more productive and increase sales. Does This Mean I Can’t Do Any of These Things Ever? I’m not saying you cannot ever do any of the things mentioned above. I’m saying that if you want to increase sales you must be smart about where you invest your time. Invest some time right now and see where you are wasting productive time and determine how you can make adjustments to be more productive and increase sales.